A thunderous poker fever is about to chill Marraketch in the coming week. Actually, the Moroccan citys two largest casinos will play host to two different poker festivals. 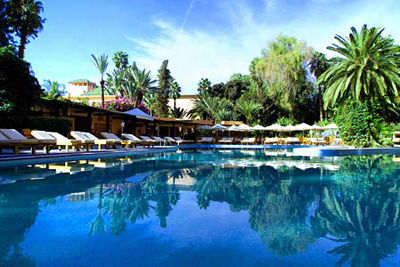 The Amazing Poker Weekend event will be played at Es Saadi on Thursday May 21 at 18h. Recall that El Saadi has recently hosted a stop of the World Series of Poker Circuit (WSOPC). The Amazing Poker Weekend poker tournament actually features two starting day flights and is accessible for Dirhams 1,500 of buy-in (approximately 150). Regarding the structure, every entrant will enter the battle with a starting stack of 25,000 chips for 500 blinds. The level of play is set to 25 minutes on the first starting flight. And it will increase to 45 minutes from day 2. The ultimate clash is slated to take place on Sunday May 24, at the end of which a whopping payday of Dirhams 150,000 will be awarded to the eventual winner. At Le Grand Casino La Mamounia, the Dirhams 5,000 (500 ) buy-in Big In Mamounia event has been animating the resort since May 20. Featuring a truly enticing structure, the Big In Mamounia race will run its final day on Sunday with highly skilled participants, all having their hearts set on the top prize. Armed with an avarage stack of 40,000 starting chips, each player has a pretty good chance to show off their skills as every level of play lasts 40 minutes. Interestingly, everyone can bag an additional stack of 10,000 chips by paying an extra Dirhams 500 prior to the final. If the eventual winner is a casino regular, Le Grand Casino La Mamounia proudly announced that a bonus of Dirhams 100,000 will be added to the lucky ones top prize.